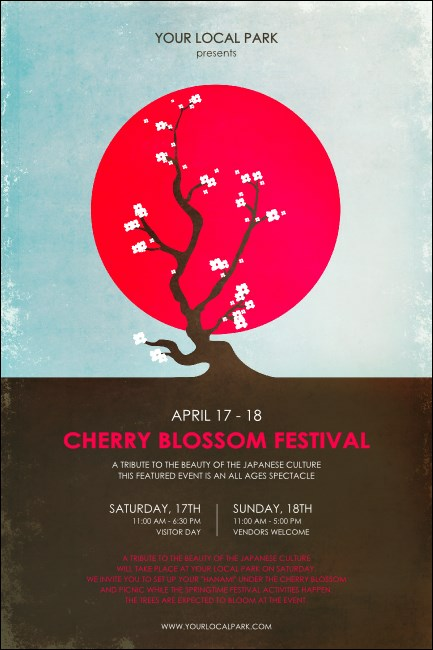 Remind your guests to come early and get the best spot for their hanami when you post Cherry Blossom Circle Posters for your Japanese sakura festival. Promote traditional Japanese culture with Posters that show a rising red moon amidst a light blue sky with a charming little cherry tree in bloom. TicketPrinting.com will help your event attendance grow!